I am loving my new front door makeover. 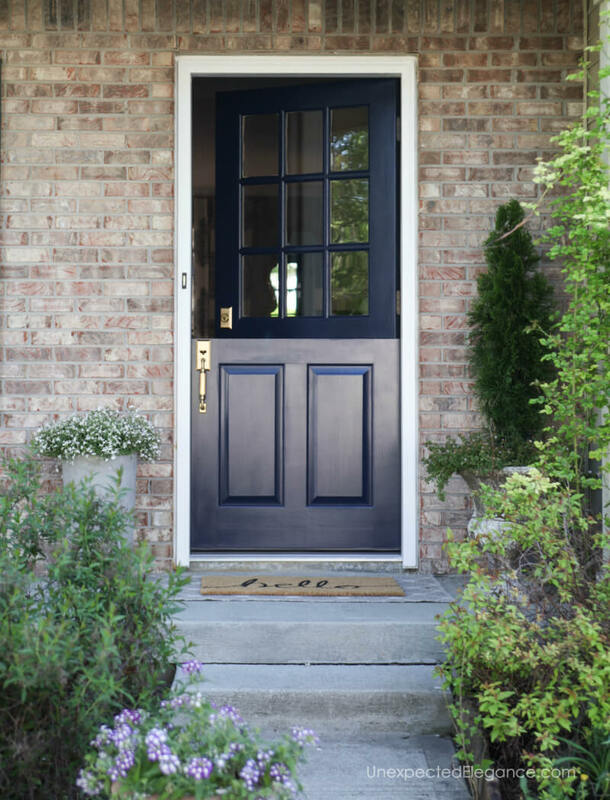 The navy Dutch door and antique brass handset create a beautiful and functional entrance to our home. Our front door has needed a makeover since we moved into our house 9 years ago. Unfortunately, it wasn’t too high on our priority list of projects so it got neglected…until now! 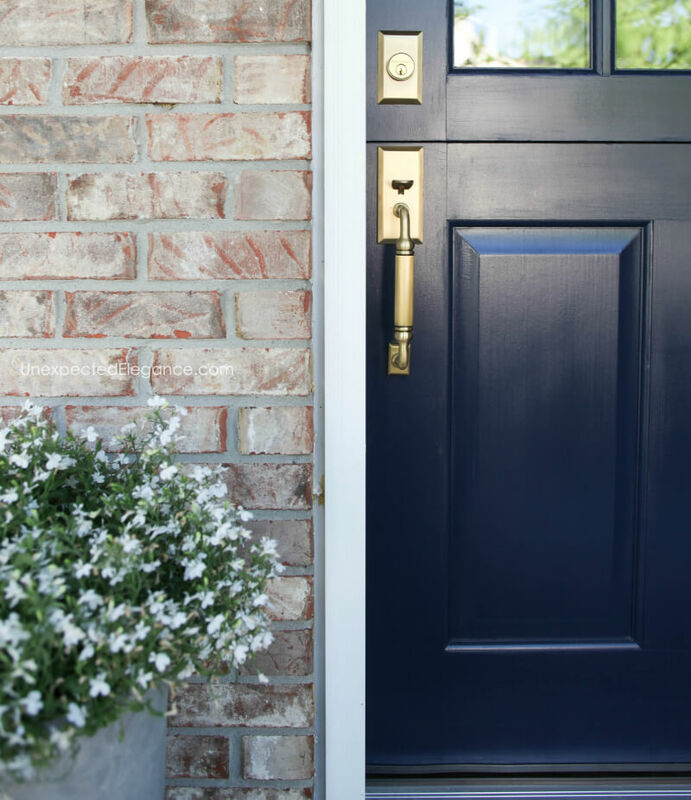 I have wanted a real Dutch door for years. You might remember the interior door that I transformed into a Dutch door? Well, I finally wore my husband down enough that he caved and let me get my door. I ended up going with a wooden, unfinished, pre-hung door. 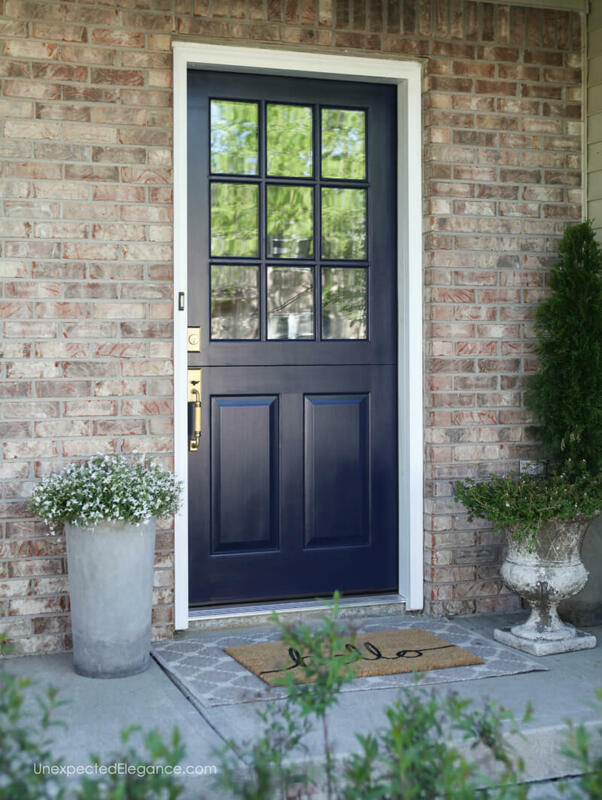 This decision was mostly because of the price, but I also like wooden doors better and I wanted to pick the color. This post is sponsored by Nostalgic Warehouse. However, all photography and opinions are my own! When I was looking at doors, I had gone to multiple home improvement stores. All the salesMEN scoffed at me and some didn’t even know what I was talking about. 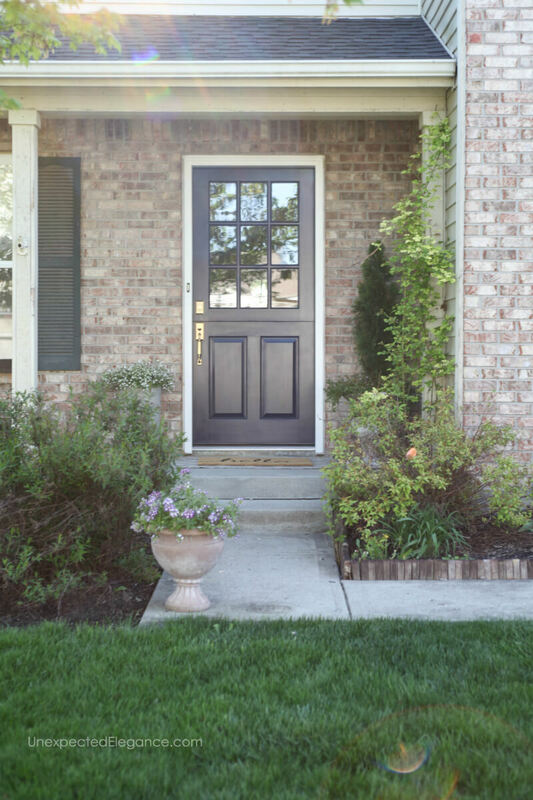  Most of them told me how silly it was to have this kind of door for my front door…but I didn’t care, and still don’t! It is perfect and lets in so much more light than our old door. I painted it in Benjamin Moore Deep Royal. Since it was unpainted originally, it took several coats. AND something I didn’t realize (at first) is that you NEED to sand in between coats. The finish came out beautiful but it did take some time. The hardware is from Nostalgic Warehouse. I looked for just right lockset and I could not be happier! It is a heavy metal and the color is gorgeous. It’s from their New York collection and is the “C” grip handset in Antique Brass. 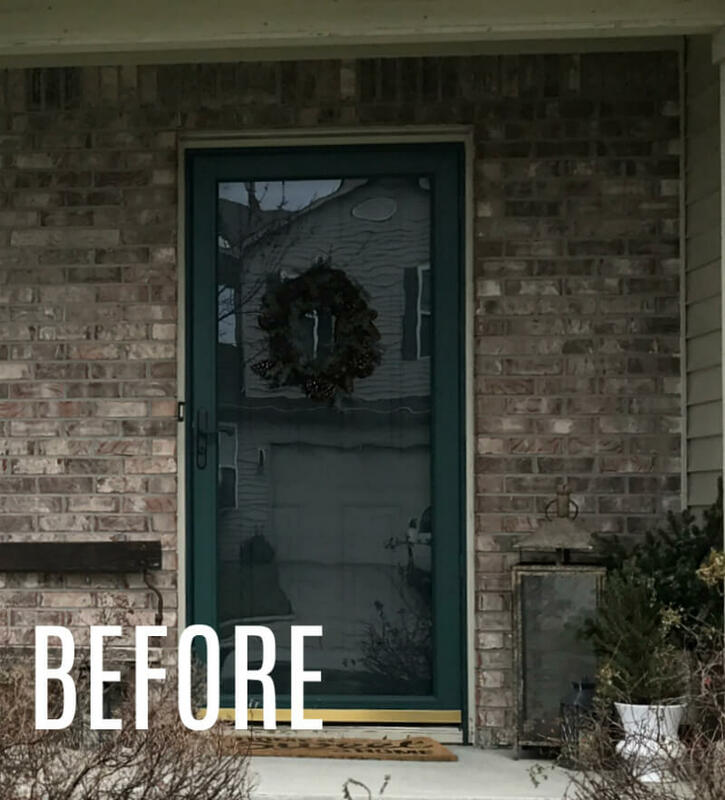 Since the front door got new hardware, it was only fitting that the back door receives a quick update too…the same indoor hardware and cordless shades. Of course, now that I have a new door, there are a dozen other exterior projects that need to happen! I’ll be painting the shutters next and have plans to add a brick, herringbone pattern to the porch. 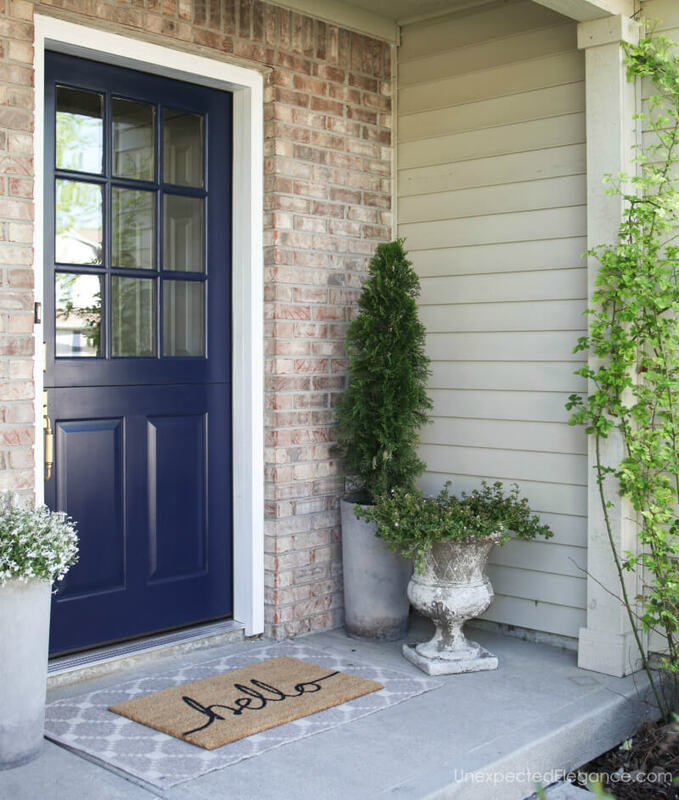 Eager to see how your porch comes out! Thank you! 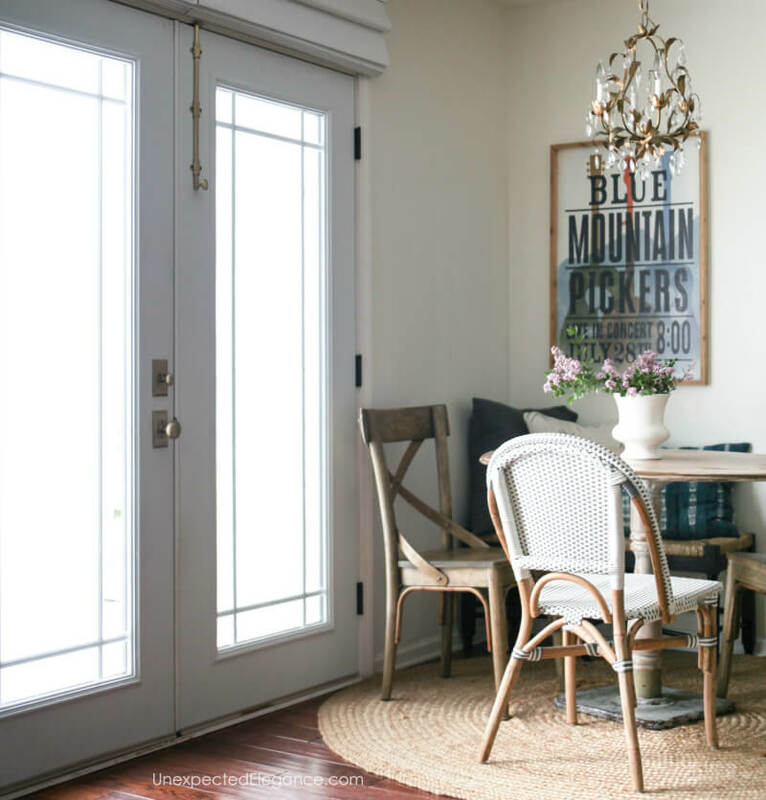 Your copper door turned out really cool! Beautiful! 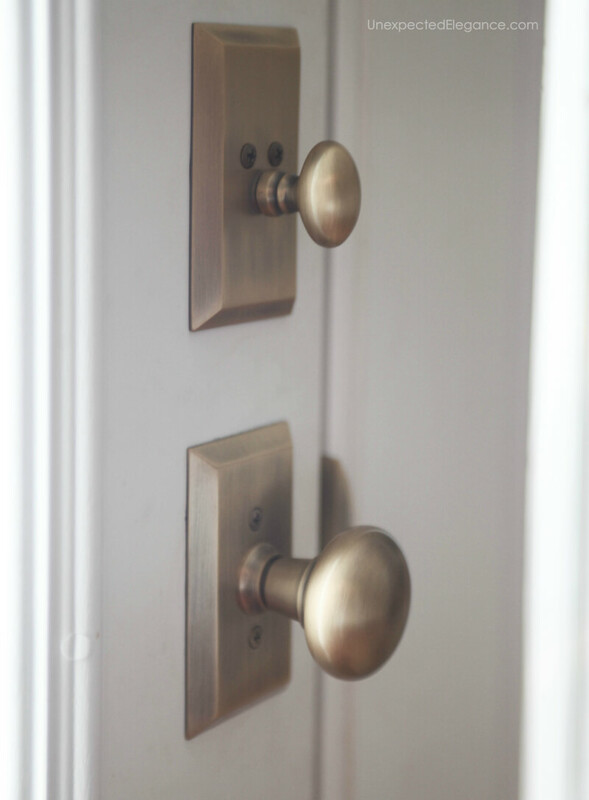 What did you use a latch for the dutch door on the inside (to keep the top and bottom together)?